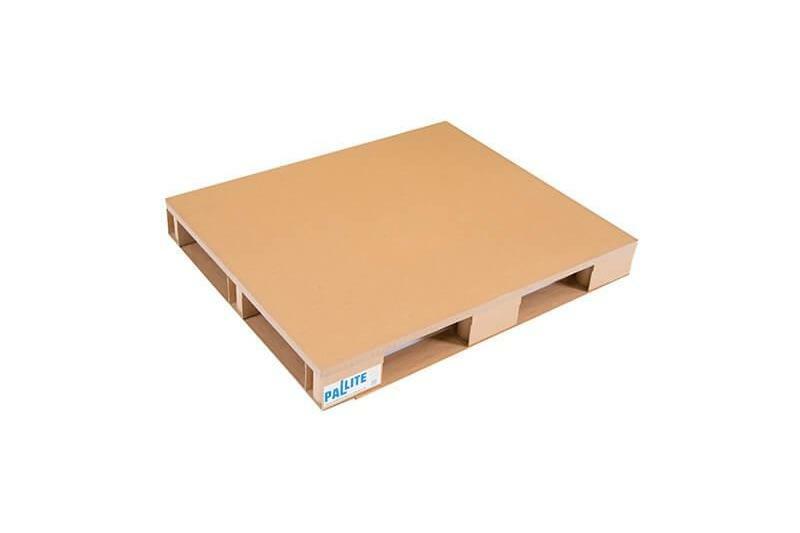 PALLITE, based in Northamptonshire in the UK, provides an alternative to wooden pallets and crates that is 100% recyclable, lightweight and stronger than standard cardboard pallets and boxes, whilst reducing the total cost of shipping and boosting organisations’ green credentials. The report conducted by Giraffe Innovation included a life cycle assessment of PALLITE UK- and Euro-sized pallets and pallet boxes versus wood-based equivalents across their lifecycle. Various scenarios were modelled, including road, sea and air transport, as well as manufacturing, with the results finding that changing from a wooden pallet to a PALLITE pallet reduces carbon emissions and overall freight load weight. One test scenario involved flying ten standard pallets with corrugate boxes, each holding 500 kilogrammes, from London Heathrow to JFK New York: a total of 5,536 kilometres. This overall distance of 29,608 kilometres produces emissions of 36.77tCO2e. By replacing the wooden pallet and corrugate box with a PALLITE standard pallet box, emissions drop to 35.611tCO2e: a total reduction of 1.101tCO2e, 0.148 tonnes less weight, a saving of 397.7 litres of fuel and a cost saving of £119 on fuel. The CO2 emissions saved are equivalent to those produced by burning 1,204 pounds of coal. The saving is equal to 48 bin bags of waste being recycled instead of landfilled, the press release said. PALLITE also recently appointed Iain Hulmes to the position of CEO, which sees Patrick Mulhall move to the position of Commercial Director.